Hair extensions are a hot item right now. Irresistible Me sent me some clip-in hair extensions to try out. This is my first time trying anything like this, so I wanted to share my experience as a complete newbie. My hair has always been very fine. One of my best friends is my stylist, and she always tells me that my hair is fine, not thin. Meaning that the individual strands are fine, but there are a lot of them. Every time I bring her a picture of a celebrity and say “this is how I want my hair”, she informs me that they are most likely wearing extensions to increase the volume. That would explain why my finished result is never like the magazine clipping. Well, at least one of the reasons! I agreed to try Irresistible Me clip-in hair extensions to show if a person with little to no hair skills can do them. Here’s what I learned from my first try. 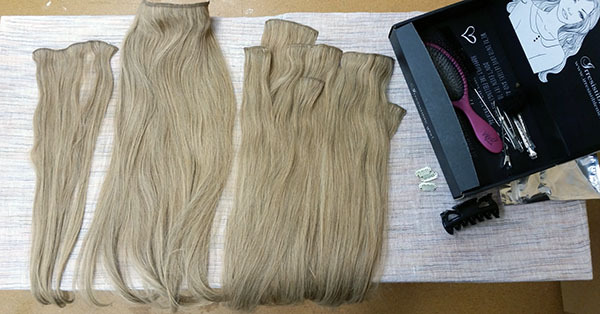 Get high-quality extensions: I don’t have any experience, but I cannot imagine cheap and fake hair looking good. Irresistible Me uses Royal Remy premium hair. It’s silky, smooth, and can be treated like the hair on your own head. Select a reasonable length: I am a go big or go home kind of girl, and that’s not always a good thing. 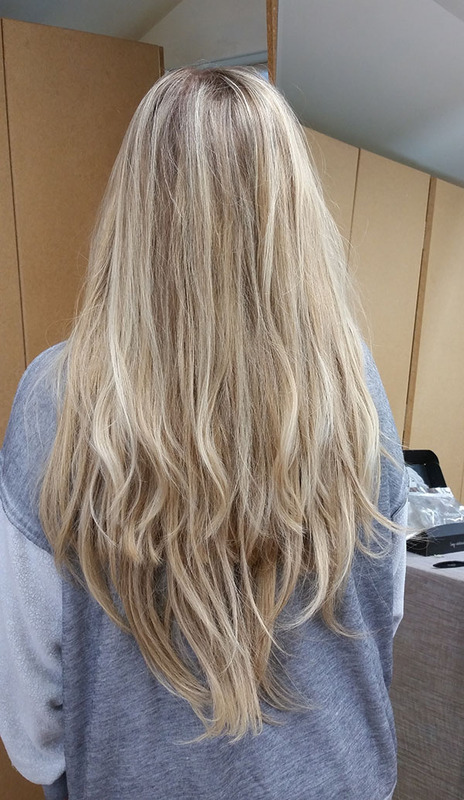 I already have long hair, so I just went for it and chose the 22″ long extensions. That was a little much for me. The beauty of it is, they can be cut. I will just bring them into my stylist and she can trim them to look more natural in my hair. Start with smooth straight hair: Since the hair extensions are straight and smooth, you want to start with your natural hair that way, as well. After everything is clipped in securely, you can style everything including the extensions. That way everything will blend nicely. Have supplies ready: I needed clips, a teasing comb, and a three-way mirror would have been awesome. Thankfully, my sister was helping me, so the mirror situation was not a deal breaker. At home, I will have to use my bathroom trifold mirror to see the back. Watch videos: I watched several tutorials and still struggled a little. Irresistible Me has videos to help you, and I found a lot on YouTube. Try to find a few that have similar hair to yours. There were no instructions in the box, so this is a must for first-timers. There is a great video to help you choose your extensions, too. Know your goal look: It helps to be realistic about your look. My set of hair extensions came with 200g of hair. That’s a lot! I couldn’t even get all the wefts into my hair. Plus, I could not leave the house with all that hair in and feel confident. I would feel like a fake for sure. For me, just a few small sections to add in some fullness will be perfect. Once again, this depends on your personality, and what makes you feel fabulous. I have friends that rock full sets of extensions and you’d never know it. They own it, and it just goes with their overall look. 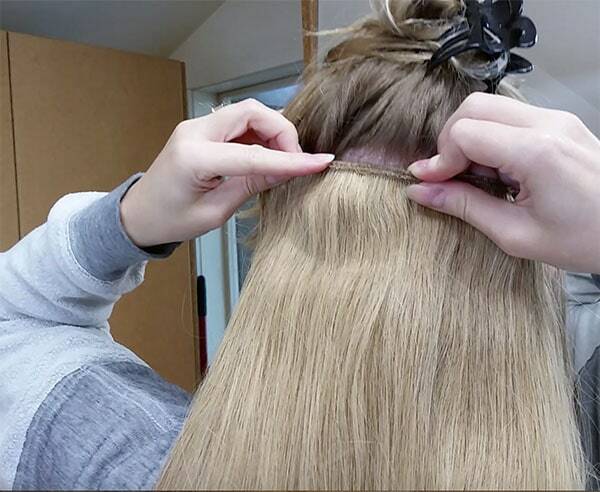 Practice placement: Have a plan for placement of each weft. Label or number them to make it easy on you when you are trying to get ready. Most of the people that I know who wear extensions know what they are doing. In case you are like me – and don’t – I hope this helps you. I don’t mean to scare you away, just to help you get prepared. 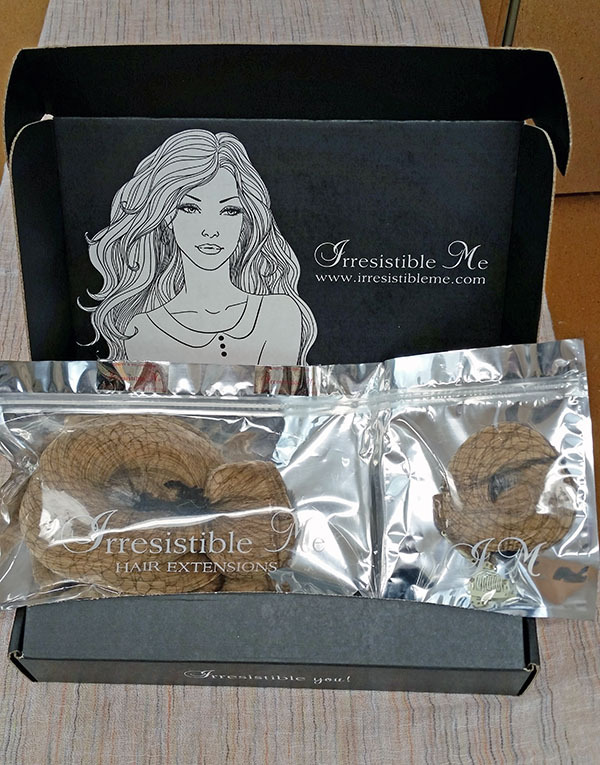 Royal Remy clip-in hair extensions from Irresistible Me are the way to go. 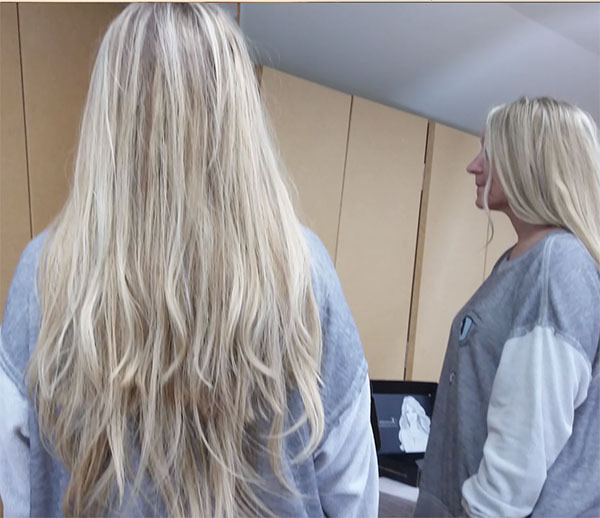 The hair extensions look so natural and easy to use. 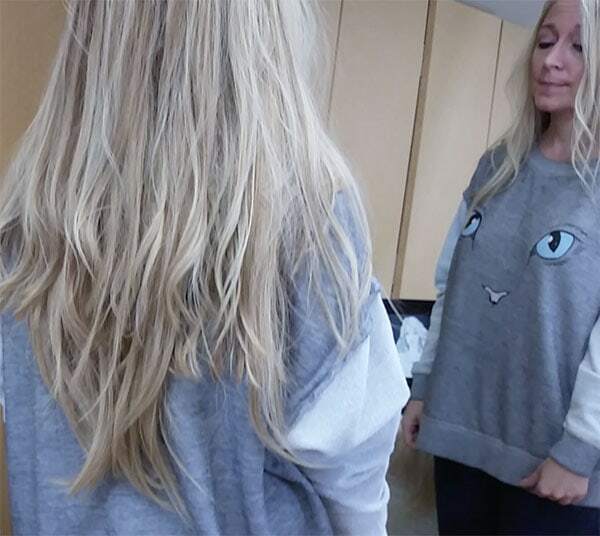 I want to get me a hair extensions and see how it looks on me! Your hair looks so natural and so pretty!